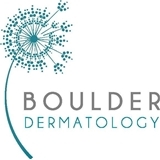 Boulder Dermatology (Boulder) - Book Appointment Online! At Boulder Dermatology, all of our physicians are board certified and have extensive experience in every area of diagnosing and treating skin disorders. Equally important to our practice is our high level of personal attention to each individual. We care about people—we listen and educate in addition to providing medical services. Dr. Morrison was very thorough and knowledgeable and provided several alternative options for my skin rash. Staff was also very nice and helpful.